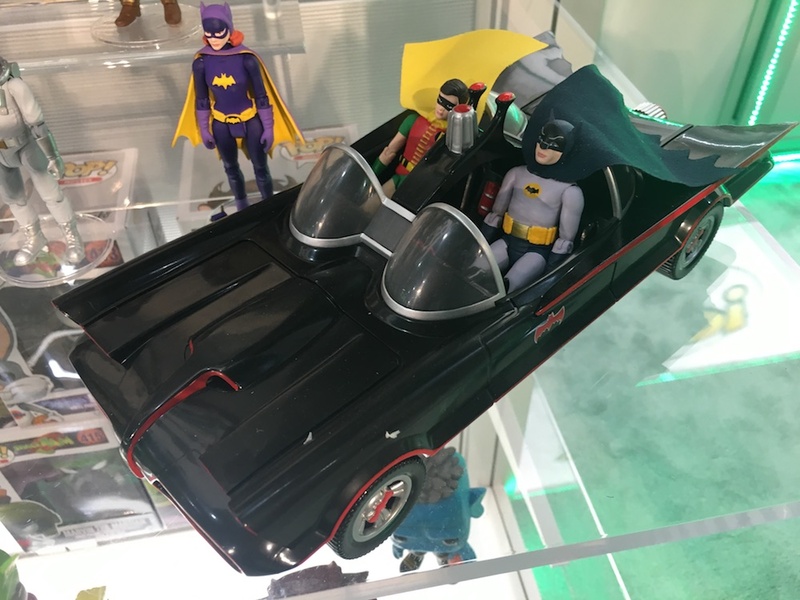 A reason to get excited about Batman ’66 all over again. 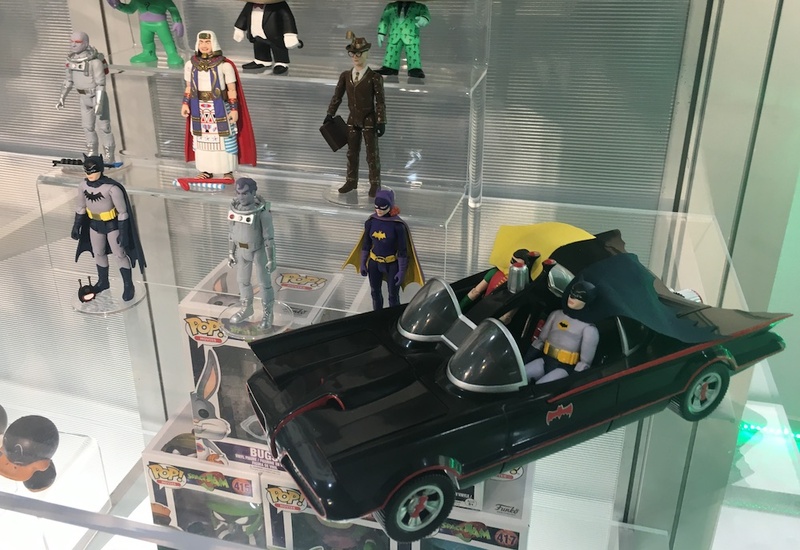 Just when you thought the Batman ’66 license was fading out, it’s once again batteries to power, turbines to speed, thanks to Funko. The company — which has worked the edges of the license with its phenomenally successful Pop! line and its Dorbz brand — is taking a Gotham-sized plunge into the action-figure pool with a new series of 3.75-inch-scale action figures. And it’s not just the obvious figures, either. Come June, Funko is releasing a large wave featuring some seriously deep cuts. My favorite? 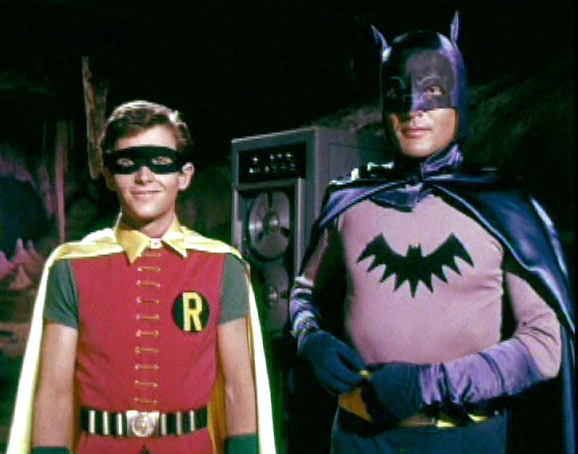 Screen Test Batman, which emulates Adam West’s outfit in the show’s pre-production footage. Even the ears are crooked! And then there’s this: Eli Wallach Mr. Freeze, who has never been produced in any form (though he was once promised by a different manufacturer). 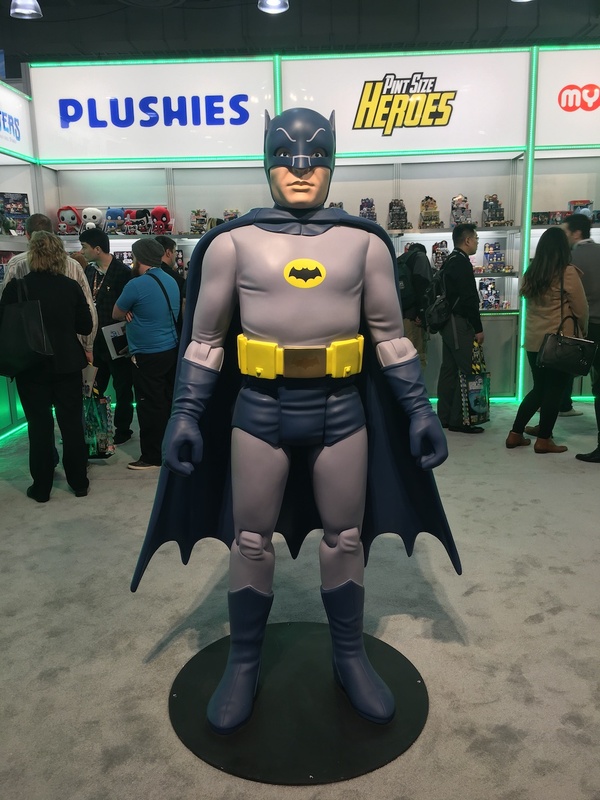 I asked Funko’s VP/Creative Ben Butcher how the company is pulling that off since Wallach has not been part of the overall Batman ’66 actor-likeness deal. He said Funko was committed to presenting all the various ways the characters appeared on the show. So neat trick there. And an intriguing one, as you’ll see below. The figures have accessories, too! 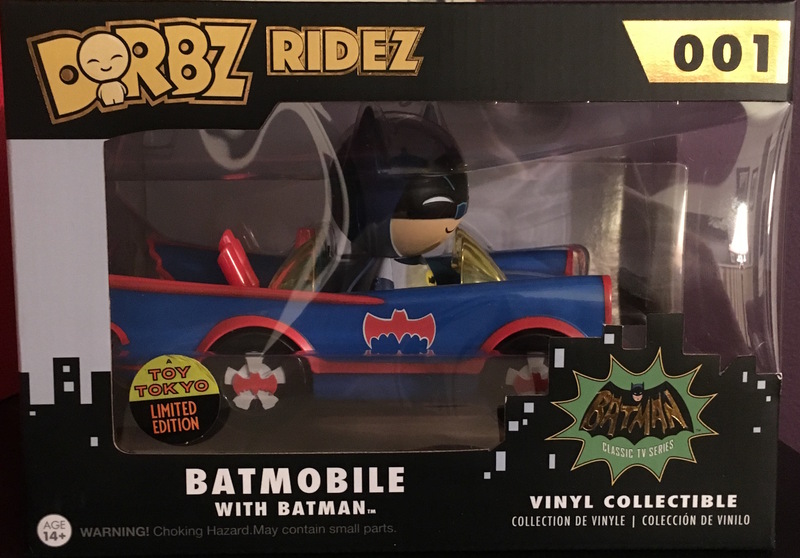 The standard figures, like Batgirl and Screen Test Batman, have vinyl capes, but the Batman and Robin who come with the Batmobile have cloth ones so they can sit in the vehicle. 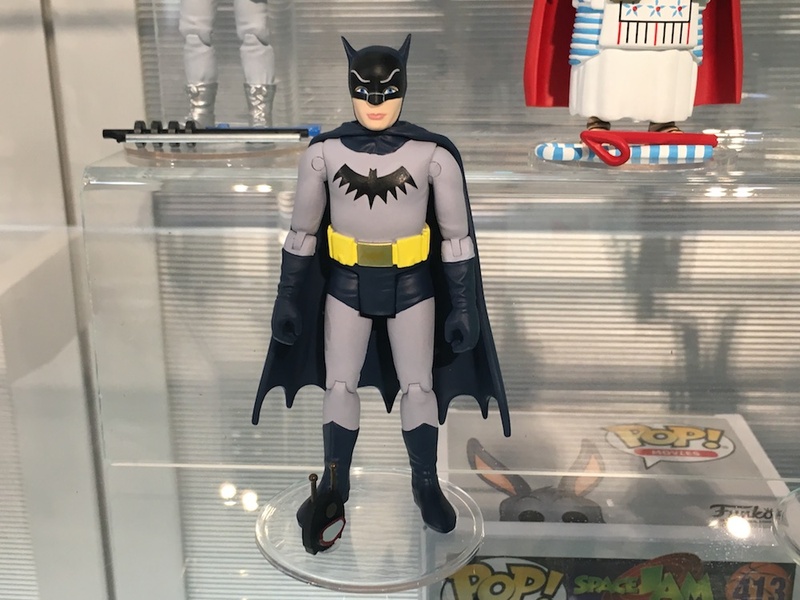 There will be a separate Batman release with a vinyl cape. 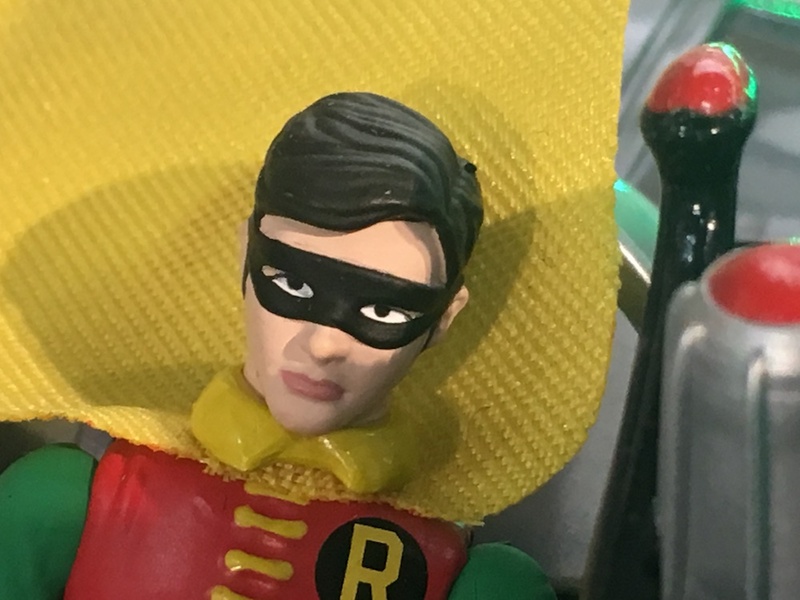 Robin on the other hand, will be exclusive to the Batmobile. There are no plans right now to release him separately. 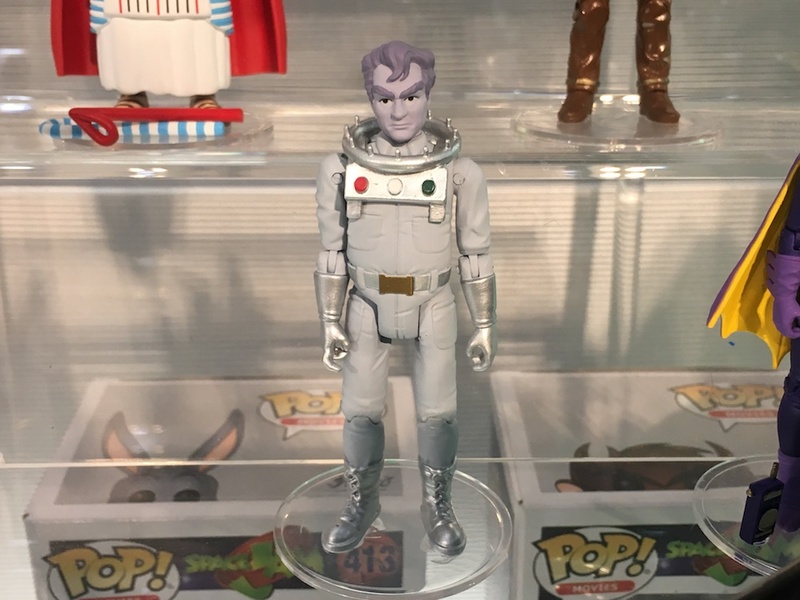 Butcher said that fans — assuming the line is as successful as Funko hopes — can expect plenty of variants, to play off the show’s rich, colorful history. 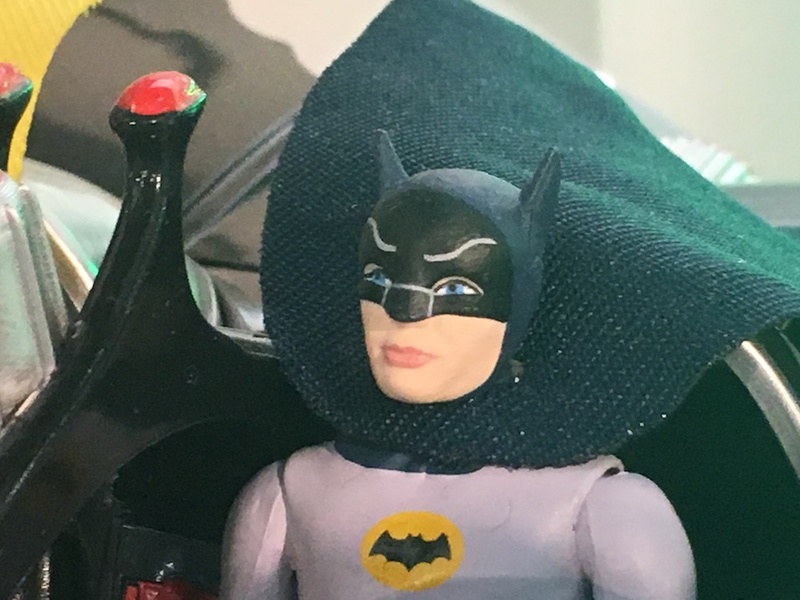 Pink Cowl Batman is a pretty safe bet, I’d say. 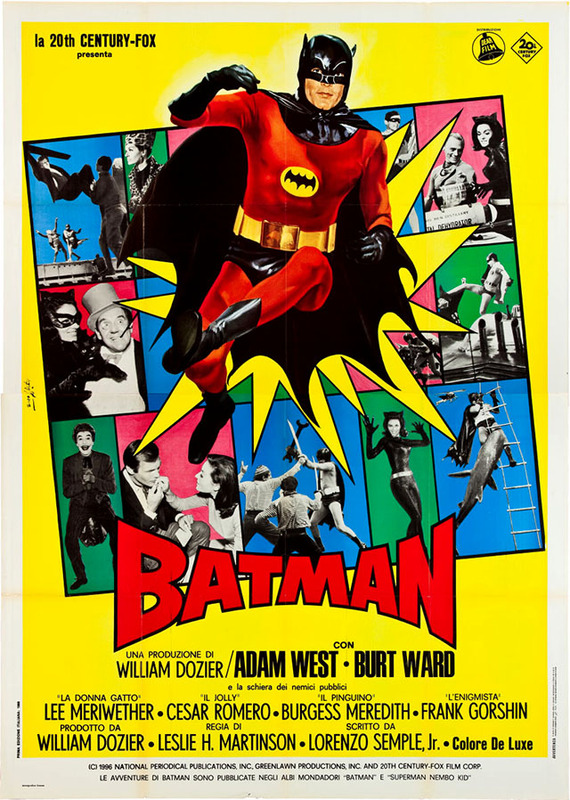 I even suggested a Red Costume Batman that riffs off his look from the movie posters overseas. I mean, why not? If they’re doing a Screen Test version, anything is possible. 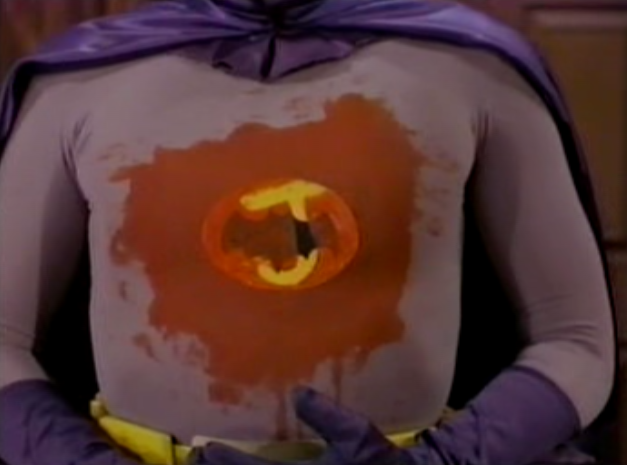 How about a Defaced Batman, from the episode Pop Goes the Joker. The name of the episode alone should prove irresistible to Funko. From Pop Goes the Joker. 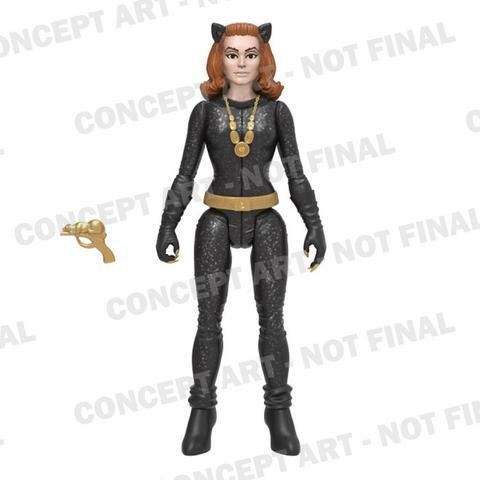 — Funko released the concept art for Julie Newmar Catwoman but she wasn’t in the display. 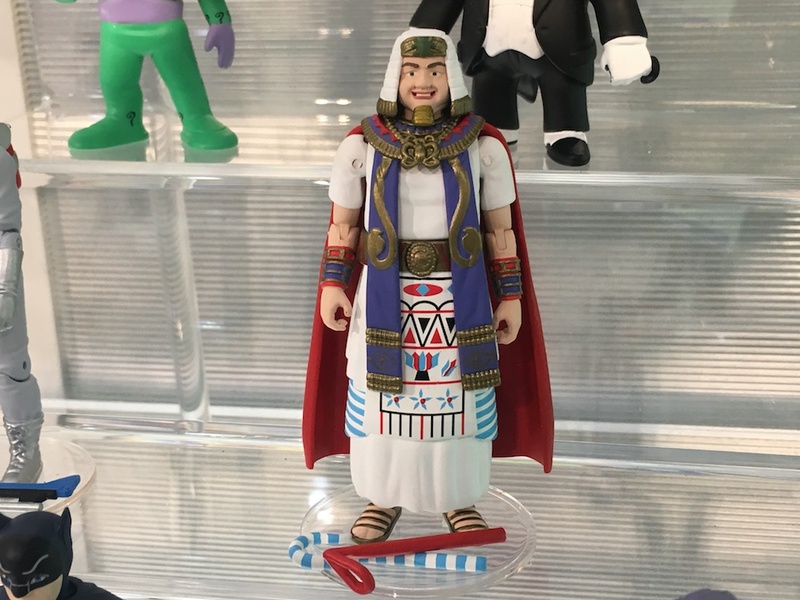 The figures were fresh out of the prototype painters’ hands, so she probably was not ready in time for the show. — Other vehicles? Maybe. As with anything in the line, a lot will depend on sales and interest. I put in a good word for the Batcopter. 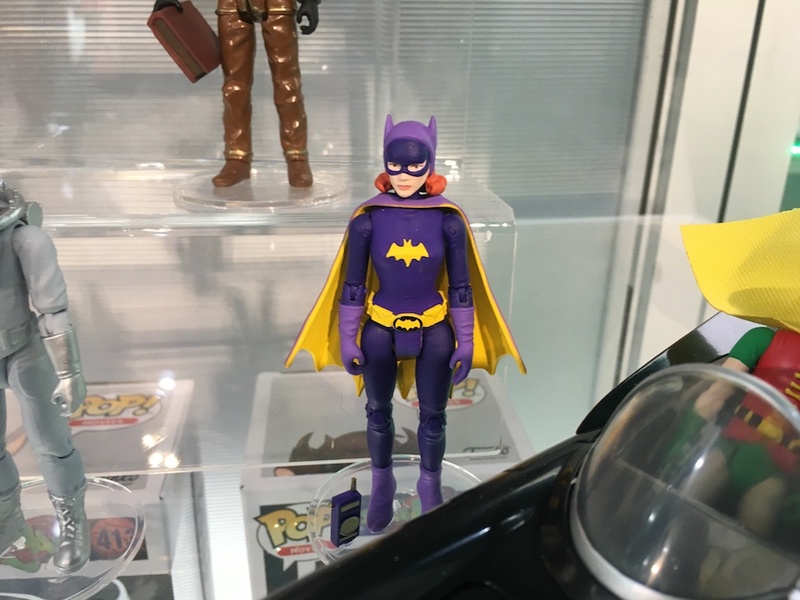 Funko spokeswoman Yoko McCann said personally she wants the Batgirl Cycle. — The company would like to get a second wave out by the end of the year/early 2018. — The way I see it, they were smart to frontload the line with secondary villains. It just builds anticipation for the Joker, Penguin and Riddler. It also tells fans that Funko is in for the long game. — The inclusion of Screen Test Batman and Eli Wallach Mr. Freeze shows a commitment to go where other licensees haven’t or at least haven’t been able to. Perhaps this opens the door for a John Aston Riddler, for example. Seems to me that Eartha Kitt Catwoman’s a gimme since she is part of the license. 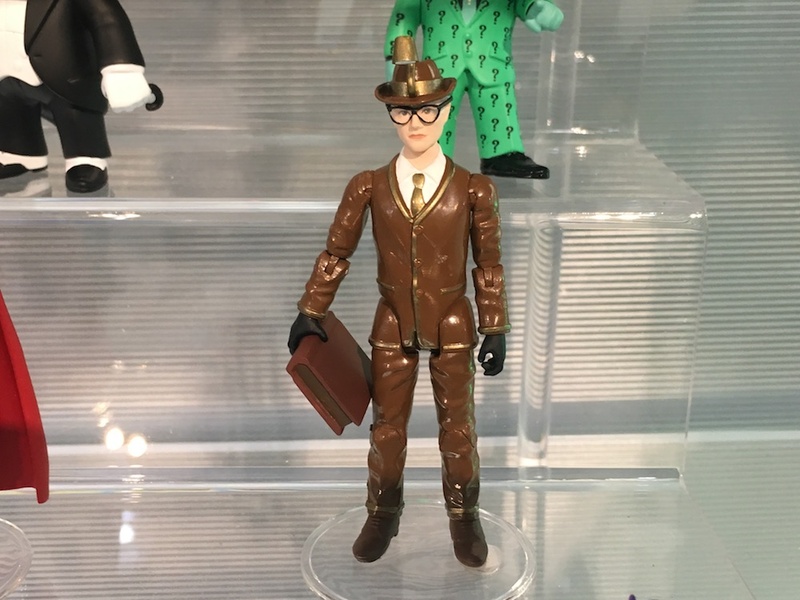 And given that we’re getting suit-and-tie Riddler in a Pop! version, I’d wager we’ll see him down the line. — Be prepared for more than one Batmobile too. Funko has produced blue, red and gold versions in its other lines that recall the old Japanese tin toys. Plans are to repeat that schtick with this line. Maybe it’s because I grew up with Roddy Mcdowall. Maybe it’s because I was a voracious reader as a kid. Maybe it’s the nice little harpsichord theme Nelson Riddle wrote for him. Maybe its just because the character was so weird. But high time for a Bookworm figure. Now, show me the Riddler and I’m in on these figures. Oh, I think you can count on the Riddler, Andy. I’d love to see False Face, George Sanders Mr. Freeze with helmet, Green Hornet & Kato and the Batcave! Hey Dan. Speaking of the music,….I hear there’s a guy doing a documentary feature on the music. The one feature from the blu ray I thought was missing. I’m all for it. You have any knowledge of this? would love a follow up. 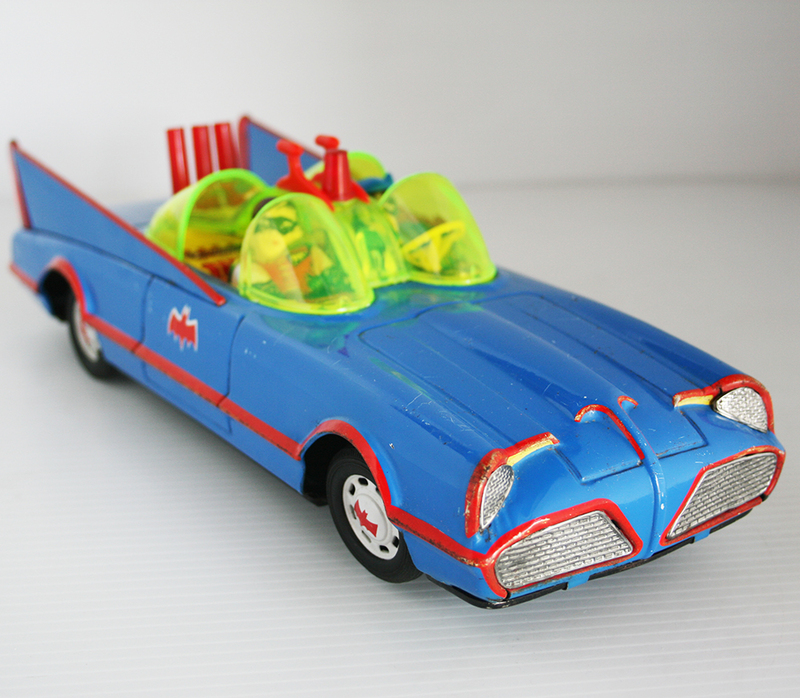 3.75″ should be no more than $5.95 apiece and the Batmobile/w the Dynamic Duo should run $26.99. IMHO. One of the great things about these to me is that they are in roughly the same scale as the Dapol Doctor Who figures of the past,and the attempted revival of this scale by Underground Toys,which means displays of Batman and co. alongside similar fare of Doctor Who,Daleks,etc. Will there be an Egghead figure? I’m a huge Vincent Price fan, and that would make me very, very happy. 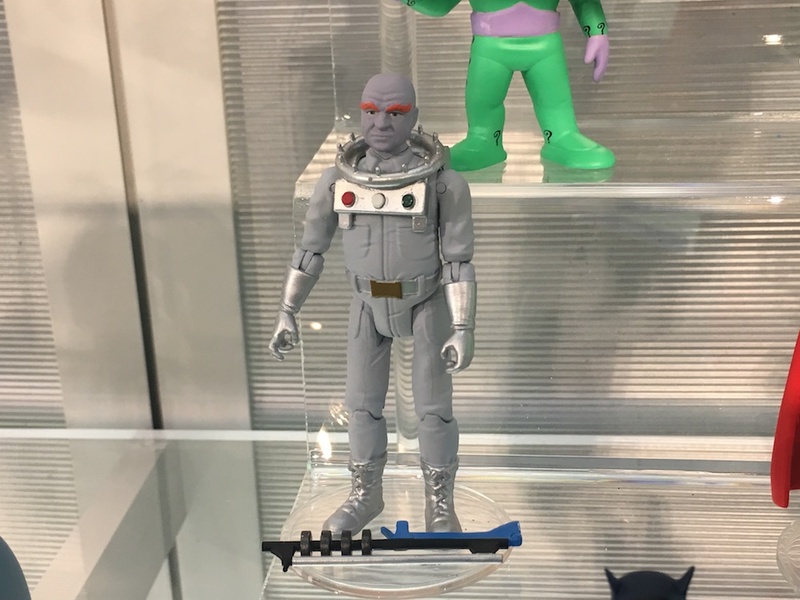 These figures are great – my favourites are the Julie Newmar (I caught an old episode featuring her the other day, and you cannot take your eyes off of her), Catwoman, and the Otto Preminger Mr. Freeze. I have just discovered these figures and purchased six of them. Is there any news on a second wave? There’s no second wave expected, unfortunately.